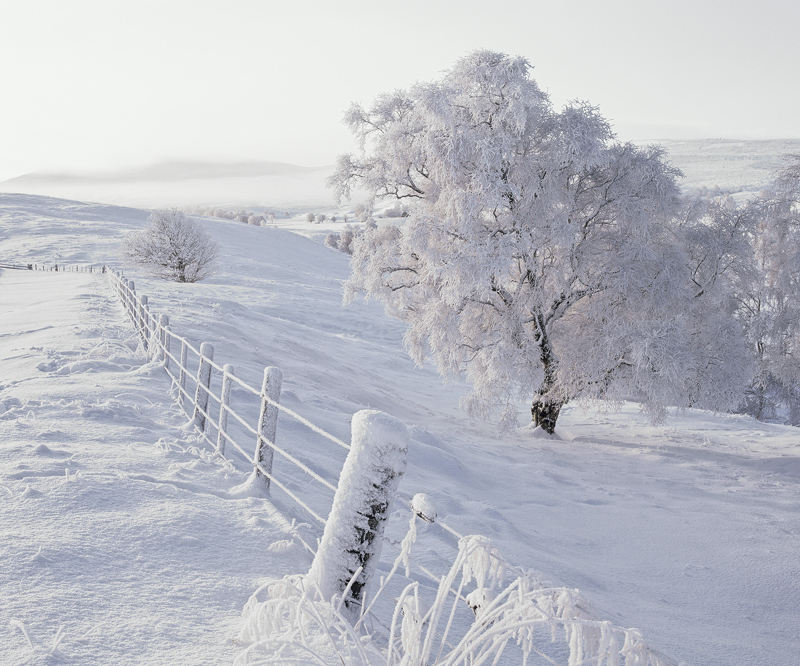 A gorgeous pristine snow scene featuring the many shades of white that sunrise on Dava moor generates. Direct light provides the brilliance of diamond white. The pink light from the remnants of a pink sunrise kiss the main birch tree pinkening its snowy cloak. The shadow sides of the slopes still pick up the blue of twilight. A wire post fence that stretches on past the end of the field contains the birch woodland.